Ludwig August Laurier was born on 31 August 1892 in Suspension Bridge, Niagara County, New York. He was baptized/christened on 9 April 1893 at Zion Evangelical Lutheran Church in Niagara Falls, Niagara County, New York, sponsored by Ludwig Friedrich Laurier. Eugene Laurier applied for a US passport, for himself and on behalf of his wife Friederika and sons Carl and Ludwig, on 22 January 1897, in the City and County of New York, intending to go abroad temporarily. The passport was issued on the following day. Eugene, Friederika, Carl and Ludwig Laurier, traveling 2nd cabin aboard the SS Berlin, arrived in the Port of New York on 27 April 1897 from Southampton. Franz Eugen Laurier and Augusta Friederika Vorwerk appeared in the US federal census of 1 June 1900 in Niagara Falls, Niagara County, New York, at 1375 Linwood Avenue. Other members of the household included Ludwig August Laurier, Carl Eugene Laurier. Also in the household was one female domestic servant. Franz Eugen Laurier and Augusta Friederika Vorwerk appeared in the New York state census of 1 June 1905 in Niagara Falls, Niagara County, New York, at 1375 Thirteenth Street. Other members of the household included Ludwig August Laurier, Carl Eugene Laurier. Ludwig Laurier posed for a series of snapshots about 1909. A photogaphic portrait was made of the Laurier family about 1910. Franz Eugen Laurier and Augusta Friederika Vorwerk appeared in the US federal census of 15 April 1910 in Niagara Falls, New York, at 1375 Linwood Avenue and one female domestic servant.. Other members of the household included Ludwig August Laurier, Carl Eugene Laurier. Franz Eugen Laurier and Augusta Friederika Vorwerk appeared in the 1915 New Jersey state census in Montvale Borough, Bergen County, New Jersey. Other members of the household included Ludwig August Laurier, Carl Eugene Laurier. He served from 20 June 1916 to January 27 1919 as a 2nd lieutenant in Company B, 70th New Jersey Infantry Regiment. The following appeared on 2 August 1916 in the Niagara Falls Gazette: Mr. and Mrs. Eugene Laurier of Montvale, N. J., formerly of this city, are the guests of Mr. Gustave Vorwerk of Ontario avenue. Mr. Laurier is manager of Colgate & Co.'s New York office. Carl Laurier is private secretary to Dr. Duane, New York City, and Ludwig Laurier is at present serving Uncle Sam on the border at Douglass, Ariz.
Ludwig August Laurier registered for the draft on 5 June 1917 in Bergen County, New Jersey, while single and living in Montvale, employed as a veterinary assistant by Lederle Antitoxin Laboratory in Pearl River, New York. At the time, he was subject to reserve call, having served three years as an infantry corporal in state and federal service. He married Zenobia Loretta Mittag, daughter of James Siegfried Mittag and Fredericka J. Woelmer, on 23 July 1917. He was a garage man, according to the 1920 census. He was owner of an oil business, according to the 1930 census. He was operating a heating equipment business, according to the 1940 census. Ludwig August Laurier became a widower at the 1940 death of his wife Zenobia Loretta Mittag. 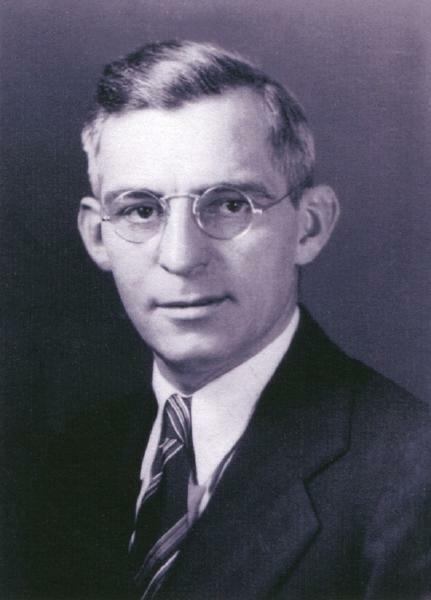 Ludwig August Laurier registered for the draft in 1942 in New Jersey while living at 49 Colony Avenue in Park Ridge, and self-employed there with an oil heating business. Contact person given was his father Eugene in Montvale. He officially witnessed the death of Franz Eugen Laurier on 4 July 1943 in Park Ridge, Bergen County, New Jersey. He married Rose Ellen Davis, daughter of William Carleton Davis and Rose Ellen White, on 9 January 1944. Ludwig August Laurier died on 5 February 1949 at age 56 in New Jersey. Rose Ellen Davis became a widow at his death.